Georgia got off the deck from its awful outing seven days ago by returning to what it does best against Kentucky. The Bulldogs had been one of the top stories in the country on their way to 9-0 and the No. 1 spot in the College Football Playoff rankings, but then they were torn limb from limb at Auburn and simply didn’t look like the same team. 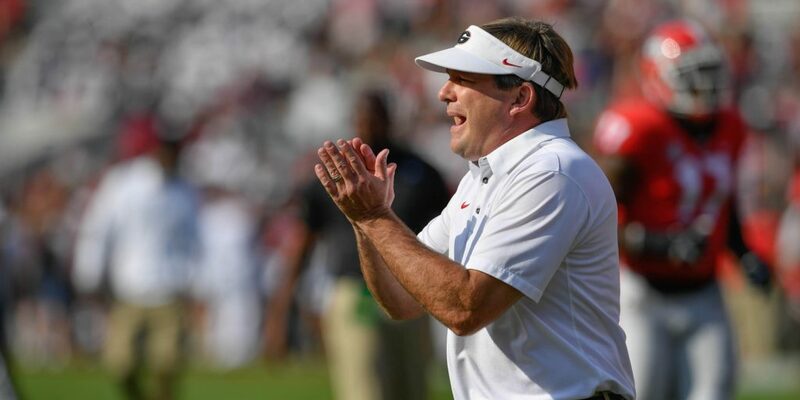 After being greeted so rudely at Jordan-Hare Stadium, UGA welcomed the Wildcats and dominated the proceedings by running the ball, playing tough defense and being sound on special teams. Most of the mistakes from the Auburn game — sloppy turnovers, silly penalties and an ineffective ground assault — were erased in a 42-13 victory between the hedges. Now 10-1 and with the East already wrapped up a few weeks ago, the Dawgs are still very much alive for the national championship. Georgia quarterback Jake Fromm was a relatively efficient 9-of-14 for 123 yards with 1 touchdown, although he did make a poor decision early that resulted in an interception. Simply speaking, if he’s asked to throw the ball 25-30 times, things aren’t going well. That wasn’t the case Saturday, not with running backs Nick Chubb and Sony Michel combining for 238 yards and 5 touchdowns on 27 carries. 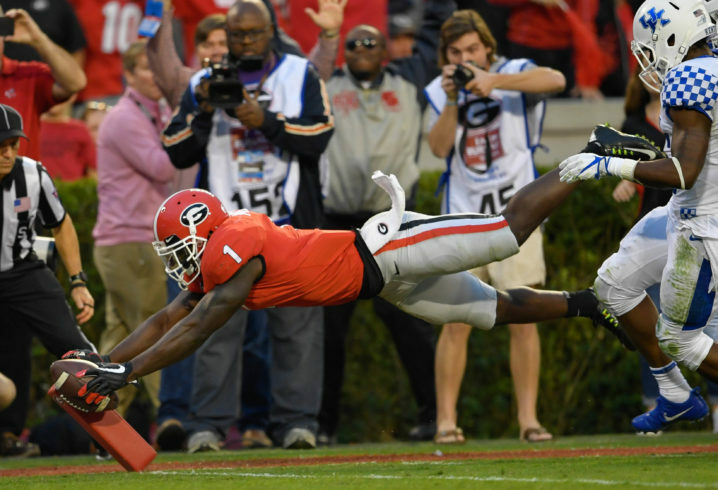 UK had been more effective defending the run in 2017 than defending the pass — fourth and 14th in the SEC, respectively — but the Bulldogs went for 381 yards on the ground and had five ball carriers with a gain of at least 21. It was Senior Day at Sanford Stadium, so it was appropriate that a pair of seniors like Chubb and Michel led the way. On the other side of the ball, the ‘Cats were held to 124 yards rushing on 37 attempts. Make no mistake about it: Kentucky’s Benny Snell is a tremendous tailback. But he could do no better than 94 yards and a score on 22 carries with a long of 12. The Wildcats didn’t have much success through the air, either. Quarterback Stephen Johnson was 12-of-22 passing for 138 yards without a TD or an INT, although Lynn Bowden Jr. — he was a QB in high school and has developed into a versatile playmaker as a freshman in Lexington — was picked off on an ill-advised throw off a trick play. Give UK coach Mark Stoops credit. 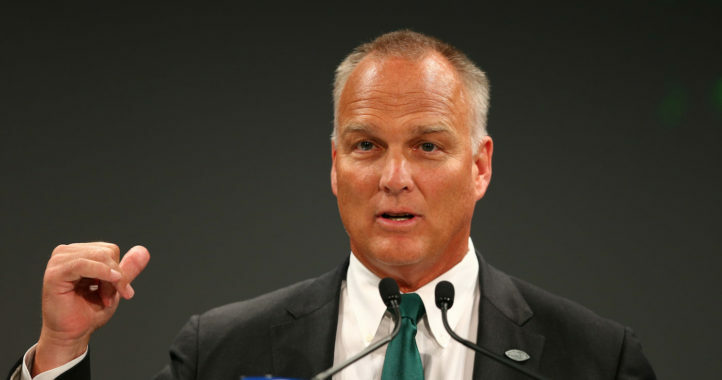 He’s built a respectable squad and will go to another bowl game. UGA is on another level, though. We’re still waiting for the ‘Cats to deliver a signature win in conference play with Stoops on the sideline. There have been a handful of near misses, including against Florida at home back in Week 4, but there are no moral victories in this league. Getting back to the Dawgs, they’ve now wrapped up the SEC schedule 7-1 — including a clean 6-0 sweep in the division. Clearly, coach Kirby Smart (below) has the premier program in the East despite this being just his second season on the job at his alma mater. Florida is down right now, as is Tennessee. This could be the first of many trips to the conference title game. However, being the best in this division is like being the valedictorian of summer school. West is still best in this league. In two weeks, Georgia will be in Atlanta facing the winner of next weekend’s Iron Bowl between Auburn and Alabama. The Bulldogs were already embarrassed once by the Tigers, and the Crimson Tide are certainly capable of doing the same. This version of the Bulldogs can handle the Tigers or Crimson Tide, no question about it. Fortunately, Smart and Co. only have to go through one of them to state their final case for the selection committee. Win, and they're in. If the SEC is going to regain its rightful place atop the Power 5 conferences, then there has to be some genuine balance between West and East. The West has won eight consecutive league championship games, with the last four — two vs. Missouri, two vs. Florida — being laughers. The SEC is supposed to be decided in December, not November. If the UGA club that showed up in Week 12 ultimately makes its way to Mercedes-Benz Stadium, then Auburn or Alabama will have its hands full. That being said, don’t forget about “Clean, Old-Fashioned Hate” in Week 13. The Dawgs may have taken in-state rival Georgia Tech lightly a year ago at home and ended up losing 28-27. The Yellow Jackets will be hosting this time, too. While that contest won’t have any effect on the conference standings, Georgia must win that one — Tech is a nightmare to prepare for with its triple-option scheme on offense — in order to be in contention for the Final Four. Losing at Auburn last week wasn’t an eliminator for the Bulldogs, but it did rob them of any margin for error going forward. This is the formula for UGA: high-percentage passes from Fromm, lots of Chubb and Michel and suffocating D for four quarters. The Tigers started off slow but eventually throttled ULM by a score of 42-14. The Crimson Tide were pulling starters by the second quarter of their 56-0 annihilation of Mercer. Neither got caught looking ahead to next week’s battle royal. With any luck, Auburn and Alabama will beat each other up so badly — this is the first time since the “Kick Six” tilt in 2013 that the sport’s most bitter rivalry truly matters in the division race — that neither will have much left in the tank for the Dawgs seven days later. At this point of the season, every roster in America is banged up to some degree. Even after such an impressive performance, it’s fair to wonder if Georgia is for real. The East hasn’t put up much of a fight. But this version of the Bulldogs can handle the Tigers or Crimson Tide, no question about it. Fortunately, Smart and Co. only have to go through one of them to state their final case for the selection committee. Win, and they’re in. It was a sluggish start with UGA trailing UK 3-0 and not going anywhere fast. Finally we started to get over the after effects of the Auburn game and move forward as we have all season. Congratulations to our DAWGS, especially the seniors who have played their last games in Athens, and all the others who can look forward to more seasons between the hedges. I hope to see a number of our seniors play on Sundays, all the very best to them! Damn proud of these seniors, and they showed out in their last home game. Very fitting. Also loved seeing Big Ben Cleveland in the line-up, a nice peek into the future. Thomas, Wilson, Cleveland, Johnson, hopefully Salyer – this line will be lethal in years to come. Yes, it was great to see the seniors celebrating ‘tween the hedges. 29 seniors in all. Big Country looked good out there and glad to see him get some playing time. The future of the OL looks good especially for our running back U. 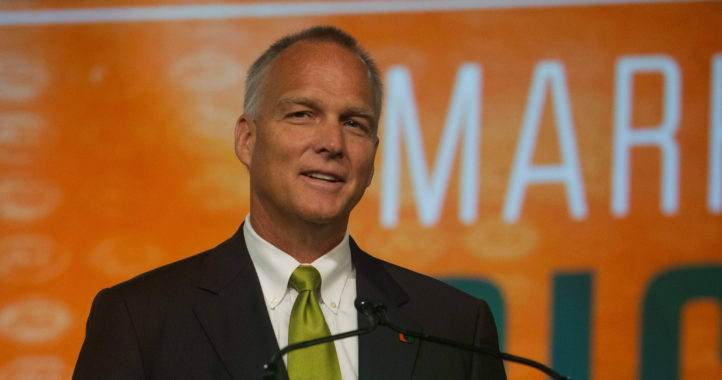 All of Kirby’s recruits will be in place next year going forward.